When we think of the benefits of flexible work and telecommuting, it’s natural to think locally. In other words, we focus on the personal benefits to us, like better work-life balance, more time with family, and less time stuck in traffic during a daily commute. We probably also consider the benefits to our employer, like happier, more loyal workers, higher productivity, and potentially a stronger bottom line. However, flex work can also have significant worldwide benefits, and as we once again celebrate Earth Day, it’s time to think globally. To help move you and your company in that direction, consider these four ways that work flexibility benefits the environment. 1. Eliminating or cutting back on daily commutes reduces pollution and greenhouse gas emissions. This is perhaps the most obvious and frequently mentioned benefit of allowing workers to stay at home to complete their tasks — or even shift their commuting times away from rush hour. To break this down even more, a study of the effects of the flex work policies of Xerox, Dell, and Aetna found that their decision to let workers labor at home on occasion translated into 95,294 metric tons less of greenhouse gas emissions in 2014. That’s the equivalent of taking 20,000 cars off the road, according to The Cheat Sheet article. For those who do have to drive to an office or retail store for work every day, taking a few telecommuters off the roads could also lead to a reduction in congestion and, as a result, less time idling in traffic jams. That’s yet another environmental win related to working from home, even for people who can’t. 2. When fewer people are in an office, companies need less space. Owning or leasing office space is a major expense for many companies. Allowing flexible work can cut down on those expenditures, because a business that allows telecommuters doesn’t need as much space. But the benefits of a smaller office space go beyond the bottom line. According to a previous post on this blog, this change offers several environmental benefits, too. “Conventional office floor plans consist of a large open space broken up by interior offices and cubicles,” the post said. “Exterior walls often have windows that do not open. As a result, access to fresh air and natural light is a rarity for most office workers, and artificial lights and cooling/heating/recirculating air vents are used to compensate. Smaller office buildings reduce this energy consumption and waste. 3. People who work from home use less electricity, fewer supplies, and less office equipment, reducing waste. When you leave the office every day, do you shut down your computer, or just put it to sleep? Do you turn off all of the lights in your work area? If you’re like most people, chances are good that your personal equipment at the office keeps drawing power even when you’re not there, wasting energy and potentially damaging the environment. According to the article in The Cheat Sheet, people who work at home also tend to use (and waste) less paper. If people are using less paper, that saves trees. It saves space in our already packed landfills. And it means companies don’t have to build or buy as much storage space to keep all of those paper documents. 4. If you have the right communication tools in place, you can eliminate business travel, too. Companies that offer flexibility need good communication tools to make sure collaboration and teamwork don’t suffer. As luck would have it, those same tools can be used to communicate with clients, eliminating the need to drive or fly to meetings—and, again, reducing the carbon footprint related to such journeys. Clearly, the environmental benefits of flexible work are real, and they should become more obvious over time as additional companies offer such opportunities. If you’re trying to make the business case for flex to your boss, don’t forget to mention saving the planet. By thinking globally in this way, you can help yourself, your company, and the world. 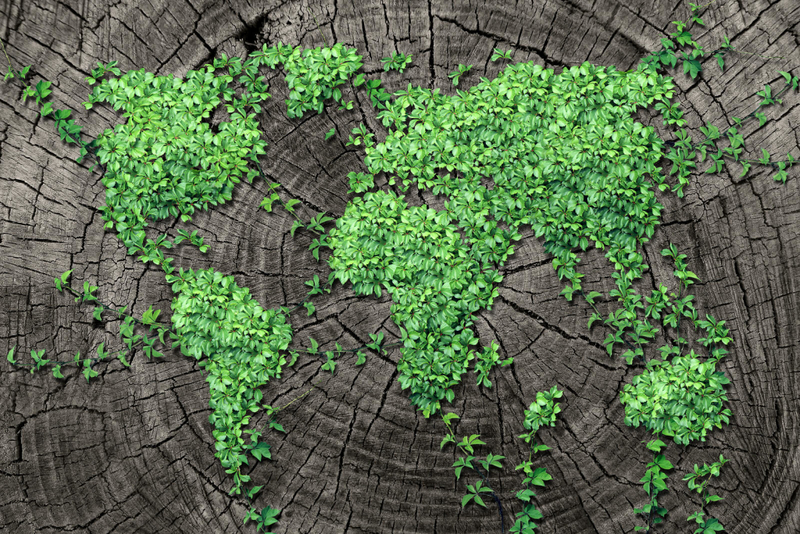 How has flexible work helped your company reduce its carbon footprint? What other positive environmental benefits would you relate to telecommuting? Please share your ideas in the comments section.